Blackham Resources (ASX:BLK) may be painfully close to production, but it’s already thinking about the next source of gold – hiring award-winning geologist Bruce Kendall to help extend its resource. It told its investors yesterday that it had appointed Kendall as its chief geological officer, with Kendall holding over 20 years’ experience in the mining game. He has previously been with Independence Group, Jabiru Metals, and even AngloGold Ashanti. He played a key role in the development of the Tropicana gold deposit, planning the discovery holes for the resource and then leading the exploration team through the project’s PFS stage. His expertise in doing so led him to become a joint winner of AMEC’s prospector of the year award in 2012. BLK managing director said the hire was a coup for the company – and flagged a focus on extending mine life at its Matilda project. “We are fortunate to have secured the services of Bruce Kendall who we believe will make a significant contribution to our efforts to strengthen and lengthen mining inventory and reserves at the Matilda Gold Project,” he said. Earlier this week it told the market that its latest exploration would help convert more of the project’s Inferred resource to the surer Indicated category. 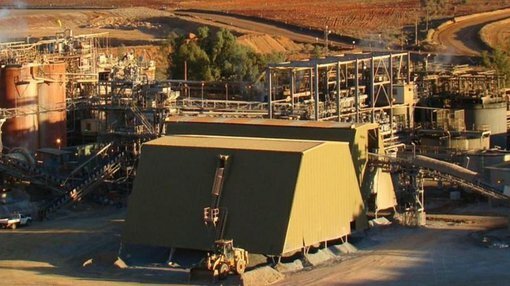 BLK intends to produce around 100,000oz per year when it goes into production in the next quarter, offloading its mined material to the Wiluna gold plant which has a throughout capacity of 1.7Mtpa. Matilda is located in Australia’s largest gold belt, stretching from Norseman to Wiluna. BLK currently owns tenements stretching over 780 sq. km. that have historically produced over 4.3 million ounces of gold. BLK also owns the Wiluna gold plant, gas power station, camp, bore-fields and all underground infrastructure needed for production. BLK’s 7 year mining inventory is expected to contain 8.3Mt @ 2.9g/t for 767,000oz and Reserves of 6.1Mt @ 2.5g/t for 481,000oz, with an average annual production rate of 101,000oz.